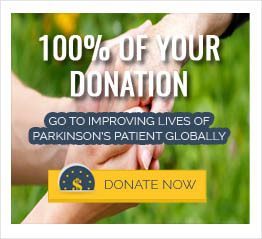 How are the basal ganglia associated with Parkinson’s disease? The Substangia nigra which is responsible for voluntary movement and mood regulation is part of the basal ganglia. Degeneration of dopaminergic neurons in the substantia nigra plays a key role in causation of Parkinson’s disease, resulting in abnormal, slow and incomplete movements. This means that it takes much longer to accomplish everyday tasks such as walking and eating. The basal ganglia contains over 400 000 neurons. About half of these neurons are destroyed in patients with Parkinson’s disease. Other parts of the basal ganglia affected in Parkinson’s disease include the globus pallidus and subthalmic nucleus. These are important for regulating movements and work together to produce different combinations of fast and slow movements. Damage here results in freezing of movements and tremors often associated with Parkinson’s disease.